Don't wait! 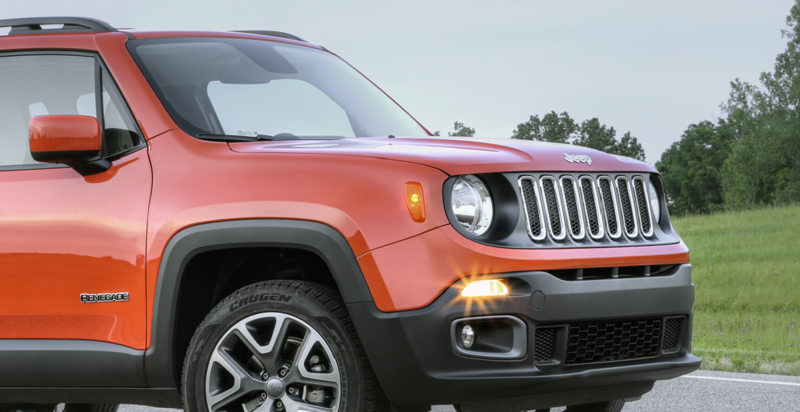 The instant you hear that strange rattle or see the check engine light come on, bring your Jeep SUV in to Anchorage Chrysler Dodge Jeep Ram. The experienced Jeep mechanics in our Anchorage, Alaska Jeep service center can diagnose and repair any issue. We're also your go-to service center for regular Jeep maintenance like 30k and 60k checkups, oil changes, tire rotations, or alignments. Along with every service, our service team will do a thorough check to catch any issues before they become problems. We make servicing your Jeep vehicle easy with rental vehicles, drop off service, shuttle service, and free Wi-Fi while you wait.Your Jeep SUV is in good hands at Anchorage Chrysler Dodge Jeep Ram. Service your Jeep vehicle at your trusted Anchorage, AK Jeep dealership. You already know how important it is to keep your Jeep SUV maintained so it continues to be your reliable companion for off-road adventures around Anchorage, AK. At Anchorage Chrysler Dodge Jeep Ram, we offer all the preventative maintenance services you need. This includes brake service, transmission repair, and engine diagnostics. Additionally, we are happy to handle any emergency repairs your Jeep vehicle may require. From your radiator to your exhaust system, we've got you covered. Next time you need service, bring your Jeep SUV in to Anchorage Chrysler Dodge Jeep Ram. Our Jeep dealership is conveniently located on 5th Avenue in Anchorage, AK. Give us a call or use our online scheduler to make your next service appointment with Anchorage Chrysler Dodge Jeep Ram.